We are one of the leading removal companies in the UK. 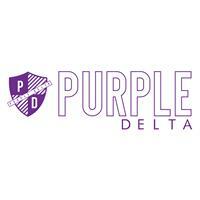 Here at Purple Delta we offer a Nationwide home removal service. Last year we undertook 1000’s of household removals, with a range of our customers returning year after year. Whether it is a large house removal or a studio flat removal required, we aim to provide a moving service that adheres to your needs. We have an understanding that no two homes are the same, though that does not change when considering how to conduct a removal. Purple Delta believe that all moves should be conducted efficiently, accurately and as stress-free as possible, as we also understand how stressful moving home can be. If it was only boxes and packaging materials needed for a self pack or self pack and load, or a full packing service needed then purple delta are the company to call, as we will always find a way to help.